President Donald Trump says the US is putting Iran formally "on notice" after the country tested a ballistic missile. He was echoing the comments of National Security Adviser Michael Flynn, who has accused the Iranian government of "malign actions" over the test. Washington earlier declared the test to be "absolutely unacceptable". Iran confirmed on Wednesday it had tested a missile over the weekend but denied violating a UN Security Council resolution on its nuclear activities. Ali Akbar Velayati, a top adviser to the country's Supreme Leader Ali Khamenei, dismissed the comments, saying: "This is not the first time that an inexperienced person has threatened Iran." Reacting to the development on Thursday, Donald Trump tweeted: "Iran has been formally PUT ON NOTICE for firing a ballistic missile. Should have been thankful for the terrible deal the U.S. made with them!" The president's national security adviser had said the same in a daily press briefing on Wednesday, but did not provide any further details of what actions the US may be planning in response to the test. Pentagon officials say the missile test had failed upon re-entry into the earth's atmosphere. The launch prompted the US to accuse Iran of violating UN resolution 2231, which "calls upon" Iran not to "undertake any activity related to ballistic missiles designed to be capable of delivering nuclear weapons". The measure formed part of the resolution which endorsed the 2015 nuclear deal agreed by Iran with six world powers. 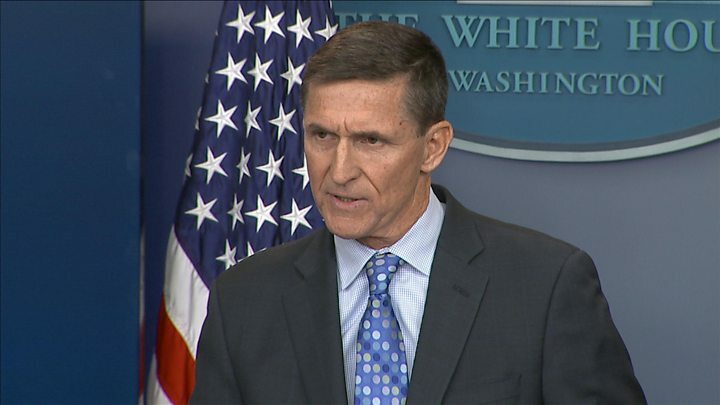 Mr Flynn did not accuse Tehran of violating that nuclear accord, but he did describe the Obama administration-brokered deal as "weak and ineffective". "Instead of being thankful to the United States for these agreements, Iran is now feeling emboldened," he said. He said "the Obama administration failed to respond adequately to Tehran's malign actions - including weapons transfers, support for terrorism and other violations of international norms". 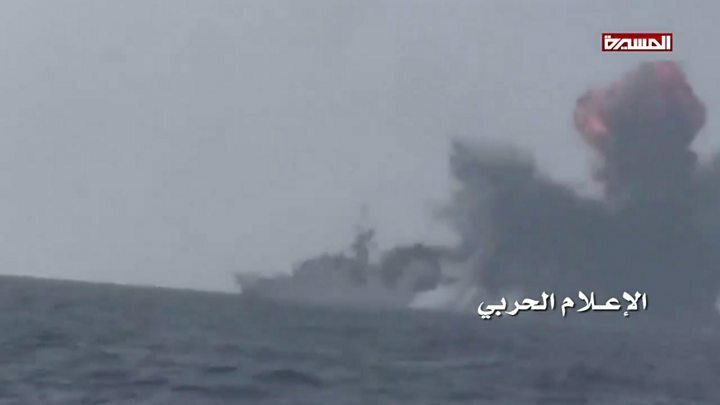 Mr Flynn also pointed to a recent attack against a Saudi warship by Iranian-backed Houthi militants as evidence of "Iran's destabilising behaviour across the Middle East". During Mr Trump's campaign for president, he frequently attacked the nuclear pact with Iran, vowing to "dismantle the disastrous deal". In December 2016, Iranian President Hassan Rouhani told an audience at the University of Tehran that he would not allow Mr Trump to "rip up" the deal, Reuters news agency reported. On Wednesday, Iranian Defence Minister Hossein Dehghan stood by the country's missile test. "We have previously announced that we will execute the programmes we have planned in production of defence equipment meant for our national interests and objectives," Iranian media quoted him as saying. "Nobody can influence our decision. We will not allow foreigners to interfere in our defence affairs. The test did not violate the nuclear deal or resolution 2231."